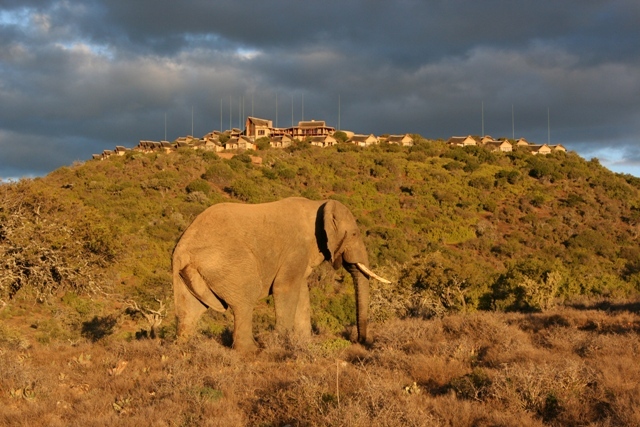 Also known as the “Place of Glory”, Kuzuko Lodge is built high upon a hill in a private section of the northern part of the Greater Addo Elephant National Park. 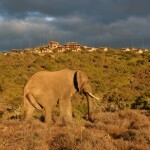 A mere 170km from the Port Elizabeth Airport. It is here where breathtaking views from your private veranda are complimented by luxurious chalets and warm, attentive service. Spectacular cosmic safaris, day and night game drives and nature walks are but a few of the ways in which you can truly experience a unique and glorious place. 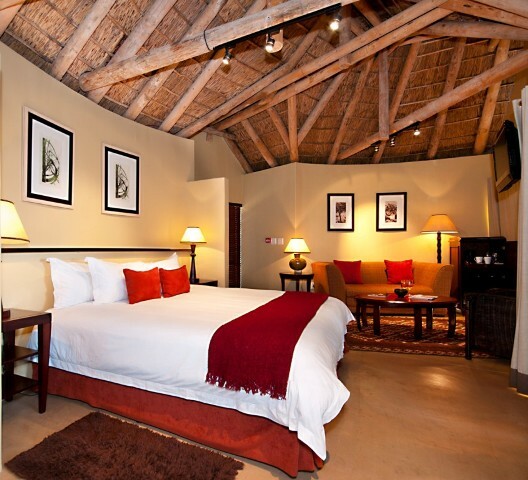 Guests are housed in 24 luxurious chalets, each with a private deck offering spectacular views of the malaria free Karoo bushveldt of the big five park below. All chalets, three of which are wheelchair accessible, features an en-suite bathroom with bath and walk in shower, mini-bar, tea/coffee making facilities, colour television, direct dialling telephones, wireless connectivity and data cable points. Children of all ages welcome. Honeymoons: Special private romantic itineraries can be tailor-made. 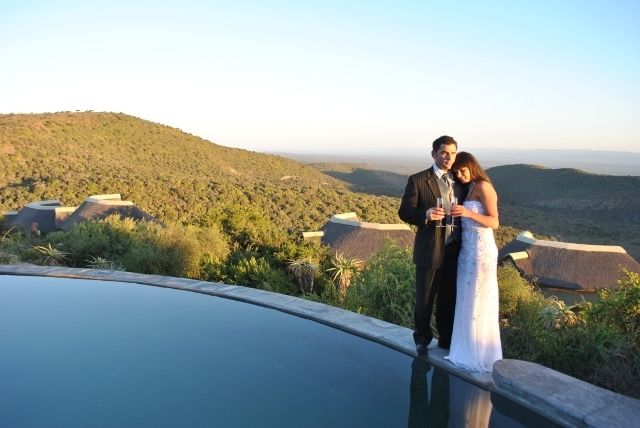 Weddings: Kuzuko Lodge offers the perfect venue for guests to honour their love and commitment to each other. 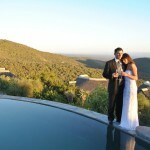 Blending unique Karoo romance with traditional Karoo hospitality in 5 star style, couples will be blessed with the wedding of their dreams at one of the most intimate and breathtaking locations in the world. A spectacular tailor-made event package can be created to suit your dream as the team at Kuzuko understands just how important and special this day is to you. Kuzuko Wellness Centre Menu includes various collections of treatments such as Glorious Massage Collection, In-Room Collection, Express Collection, Facial Collection, Hand & Foot Collection, Body Collection, Men’s Collection as well as a very popular Teen & Kids Collection. Tailor-made Itineraries (inclusive or exclusive of transport) available on request for ladies events, 4 x 4 weekends, teenage pamper parties, school groups, couples weekends etc.